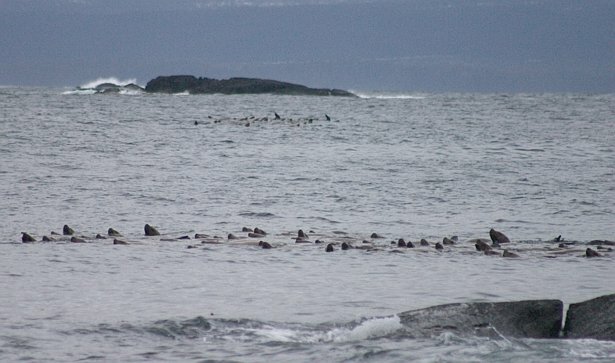 There was more than one group of sea lions within sight of the beach. Two of the larger groups can be seen in this picture. The group nearer to the shore seemed to be relaxing (sleeping perhaps?) as they slowly drifted around. The group further out seemed to be more active.